A couple multiple exposure images from this week’s total Lunar eclipse. The clouds rolled in when the eclipse was at its maximum, then cleared for a while before covering the sky again. 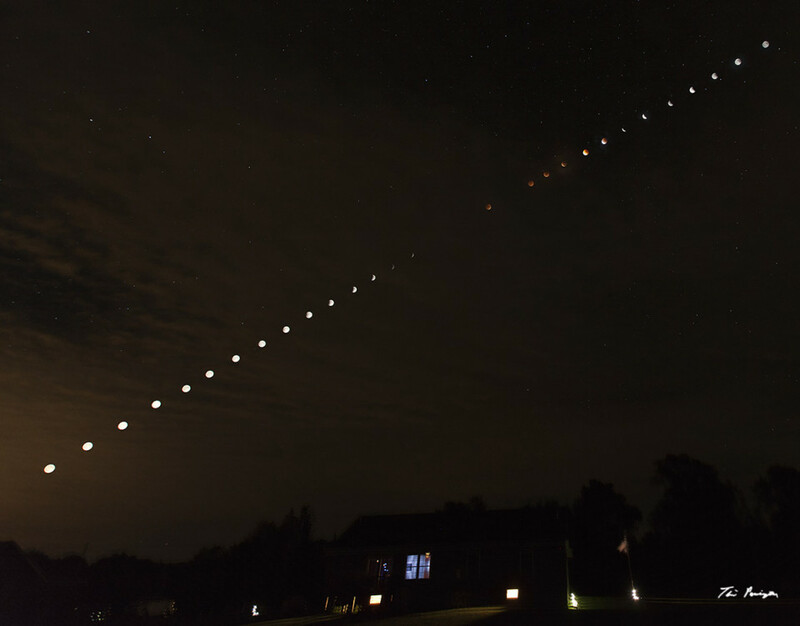 This second multiple exposure was taken with a wide angle lens and shows how the moon progressed across the sky. 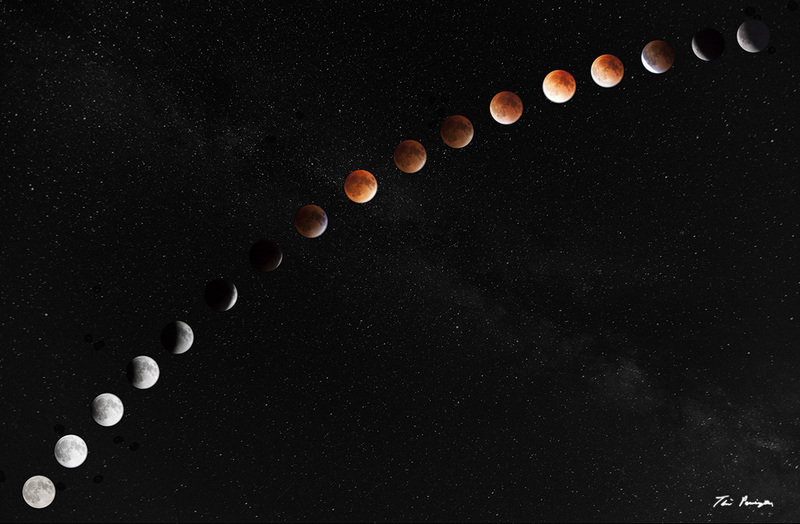 This entry was posted in astrophotography and tagged eclipse, Full Moon, lunar, multiple exposure, night, Nightscape, timpenningtonphotography.